The book explores how to be a people-helper in two related but distinct ways - by coaching and by mentoring. It enables you to discover the similarities and differences between these two methods, and learn when and how best to use them. Andy Peck opens up coaching and mentoring methods in an approachable and understandable way, exploring proven frameworks and case studies. 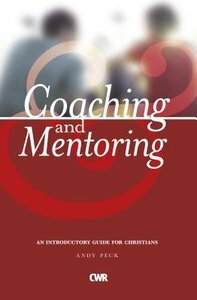 Packed with diagrams and down to earth explanations, our prayer is that this book will equip you to coach and mentor in any circumstance. Andy Peck is a writer, trainer and Bible teacher who has worked with student groups and churches in the south of England and spent seven years as an editor with Christianity magazine. A tutor at CWR, he hosts the 'Leadership File' on Premier Christian Radio. He lives in Surrey with his wife Nic and is a keen follower of golf and Everton FC.